Pera Barrett - Dad, Shoebox Christmas founder, author, musician, doer. I run the Wellington Shoebox Christmas project, I rap under the stage name Percieve (spelt incorrectly intentionally), I’m a Digital Product Owner at BNZ Digital, and every now and then I write stories. I also write letters to my daughter and son pretty often, with the thoughts I think are worth wrapping up and reading to them later. The ones I think are really worth sharing, I publish here. Shoebox Christmas is about getting Christmas presents to kids in Wellington, New Zealand that go to school in low socioeconomic areas and are therefore exposed to the kinds of things that hang around low decile school areas. I’ve also helped set up Shoebox Christmas projects across other cities in New Zealand – but I run Wellington’s project day to day (between work and whānau). I also run the Stationery Starter Packs project which creates and delivers schoolbags to kids starting college that could do with a hand. The bags are filled with the stationery they need for their first year at ‘big kids school’. I wrote this book: The Man Who Writes the Dreams – Pera Barrett (A book about following dreams). I wrote it for my daughter but figured I might as well publish it. You can read more or buy a copy here. Every now and then I speak at events, conferences and other situations where my story or a part of it might add value. Just send me an email if you want to know more. What kind of name is Pera? Pera is short for Aperahama Rangihiroa John Barrett. Among others, I’m named after my great, great, great, great grandfather Te Rangihiroa, a lieutenant who fought alongside Te Rauparaha. I’m from the tribal confederate of Ngati Raukawa, Te Ati Awa and Ngati Toa. I grew up in Otaki and am living in Tawa, Wellington with my wife and two beautiful kids. Why did I make perabarrett.com? I made this page because I wanted somewhere to keep the thoughts I want to pass on to Huhana and Kahu, and the things I think are worth holding on to after I’ve shared them. If you want to know anything else just drop me an email on the contact form. Here’s some more stuff I copied and pasted from an interview/article – partly because the author is a better writer than me, partly because I’m lazy. 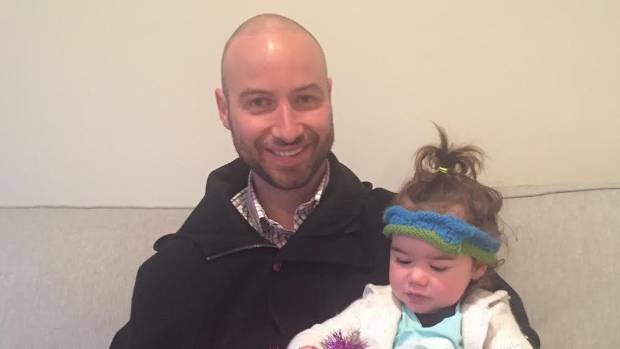 Pera Barrett, with daughter Huhana, are getting ready to help provide stationary to kids in Wellington and Porirua. A man given a second chance at life is making things a bit easier for Wellington school children. Pera Barrett was nearly killed in a 2005 car crash and the woman he hit did die, something he said he will live with all his life. 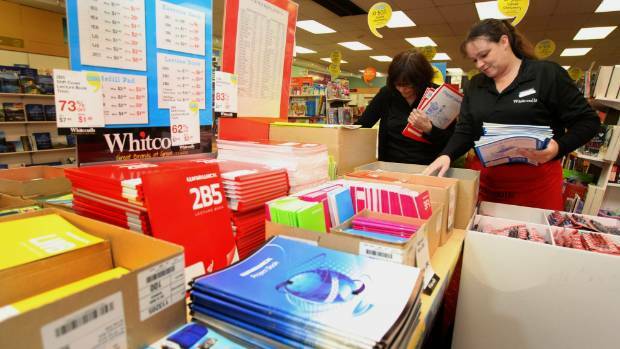 The cost of school stationery can put parents under a lot of pressure at the start of each school year. The Tawa man already runs Shoebox Christmas, distributing gifts to some of Wellington and Porirua’s most deserving children and now he’s started a new plan to help out with stationery costs. 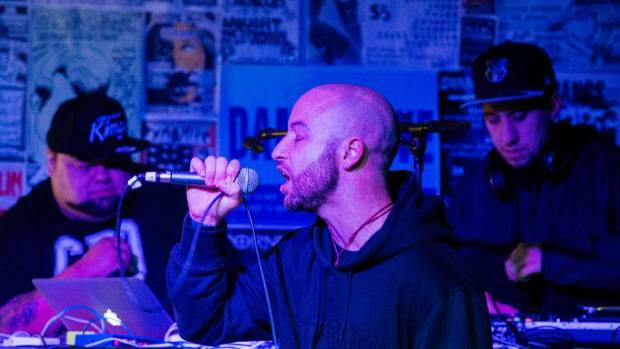 Pera Barrett, who performs as ‘Perceive’ is helping to make things a bit easier for Porirua school kids. It was a meeting with a primary school pupil that set the plan in motion. “I met a little girl who said she wanted stationery for Christmas because she knows her family is under pressure and is going to struggle when she goes to intermediate. The stress on some families at the beginning of the year was tough and school stationery just added to the problem, he said. He said he wasn’t concerned about people questioning why they should be helping out and doing the parent’s work for them. “That conversation will keep going until people go out and know some of these families before judging them. Linden School principal Gaylene Hill said the pupil at her school showed “immense heart” by asking for stationery as a present. “Pera’s taken that to heart and now he’s spreading it wider. “To be able to have stationery for the start of the year gives them the sense of preparedness and gives the family one less thing to worry about. A Give a Little page for the stationery Starter packs had raised $2831.